Our specialists in bus systems enable the interaction of information in realm time and provide separated controls. During the development of applications in CAN (Controller Area Network) – Bus area we maintain the conditions that protect like capacity of data communication, differences in transfer rate as well as data integrity. We ensure optimized interactions between bus sharing units while the number of integrated comfort operations and multimedia applications are increased within vehicles. Our experience in automotive data processing also enables us to deal with complex systems which consists of fibre-optical wire. Based on the collective knowledge of requirements for innovative software applications arising in the area of CAN (Controller Area Network) and MOST (Multimedia Oriented Systems Transport) Bus. Development for different types of needs in automotive retrofitting as well as easy handling of audio and video applications are possible. With expertise in product- and hardware-development we are designing innovative assemblies in automotive perfection. 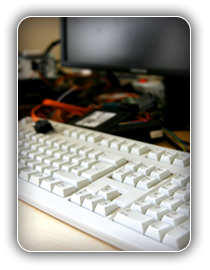 Continious hardware and software solutions provides the basis of a holistic product development. Our capabilities range from conductor board designing, programming and prefiguration to the batch production. 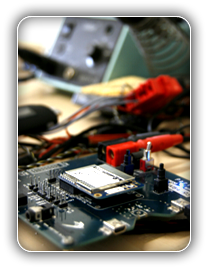 We are focused on demanding embedded systems, which are simplify the handling of automotive operations. Furthermore we extend applications for multimedia and entertainment. Development of software for embedded systems footprints and power consumption are within stringent borders. Solutions are getting more complex. It is our aim to deliver first-class software. Due to our hight grade of specialization we are able to deliver individual software solutions in combination with the most suitable software. Information processing becomes an important element in car electrics. Both the increasing number of control units and sensors within vehicles and the multimedia operations are getting more complex.